Grain products, plant protein products, processed grain byproducts, forage products, animal protein products, animal fat, molasses products, calcium carbonate, mono­calcium phosphate, dicalcium phosphate, magnesium sulfate, potassium sulfate, salt, zinc sulfate, ferrous sulfate, manganese sulfate, copper sulfate, ethylenediamine dihydriodide, cobalt carbonate, sodium selenite, vitamin A supplement, vitamin D3 supplement, vitamin E supplement, vitamin B12 supplement, menadione sodium bisulfite complex, riboflavin, calcium d-pantothenate, niacin, choline chloride, zinc proteinate, manganese proteinate, copper proteinate, cobalt proteinate, natural and artificial feed flavors, soybean oil, and artificial color. 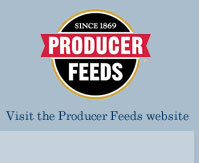 Feed Pro-Max 25% supplement to all production stages of beef and dairy cattle and horses. Feed up to 1.0 lbs. per day for calves and foals, and between 1.0 to 2.0 lbs. per day for growing and mature cattle and horses. 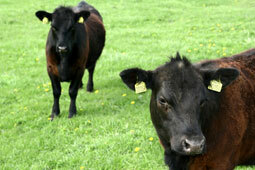 Feed high-quality forage free-choice and provide clean, fresh water at all times.